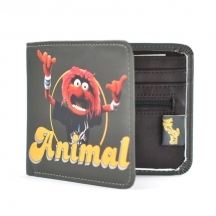 This The Muppets wallet is the perfect safe place for all of the essentials. 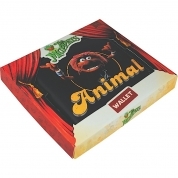 It features Animal in a signature pose on the front. There is room for 3 cards, coins, two small slip pockets and a larger slip pocket for receipts and bank notes.